This week has been a crazy busy, yet crazy good week. Why? Because despite how very much I've done this week, the MS fatigue hasn't reared its ugly head and floored me. And that's insanely good because it shows the decision I made to put my design work and scrapping on the back burner so I could focus on my mobility and general health was the right one. But I'm afraid that means I don't have anything new to share with you today. Instead I've dredged up one of those 27 draft blog posts from the vault! 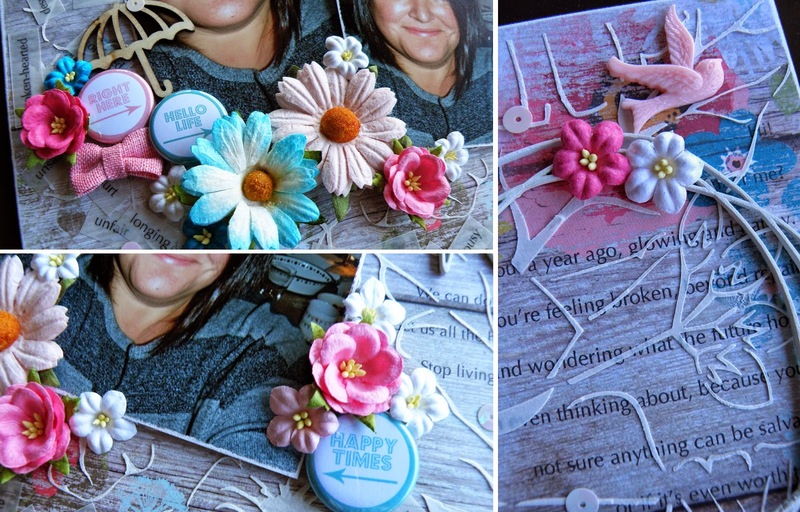 This layout was my third entry for the Scrapbooking Memories Masters challenge. The third challenge was to create a layout using journaling as the focus. Personally? I find it far easier to scrap my feelings than to write them down. When I have the same thoughts playing on repeat in my head I scrap them. These layouts can sometimes be quite personal, however I'm fairly open and comfortable with sharing the good, the bad and the ugly with my friends and in my scrapbooking. This doesn't necessarily mean I always want my journaling to be up front and 'in your face' though. So, on this layout I printed my primary journaling on the right hand side of my layout in the form of a letter to myself, and then selectively covered sections with mixed media. Its still legible but you have to look closely to read it and 'work it out'. I also printed random words relevant to my topic on vellum and scattered them across my page like litter, metaphorically piling up at the bottom. The focus of my layout is still all about the journaling, but with subtlety and restraint. Have I tried keeping a journal to write in? Yep. I have a box full of them LOL! All barely half started and then tossed aside. Have I tried art journaling? Yep. I just can not get into it. So for me, using scrapping as a means of creative self-expression works. OMG we sound so similar... I only started journalling though when I joined CSI... now I can't stop. I have bought myself a journal but I am not disciplined about using it and I journal on all my layouts... mostly on the back though... some of it is pretty torrid and it doesn't need to be in your face. 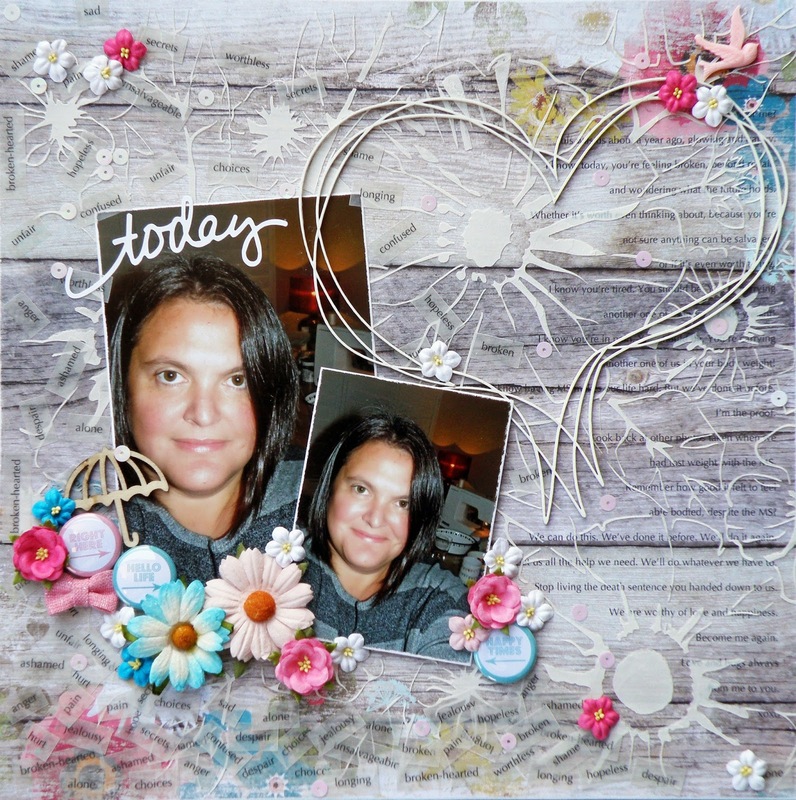 This is a beautiful layout with gorgeous pics of you and I love that stencilled background.